Have you ever tried mantra meditation? Mantra meditation is one of the top 31 types of meditation. In mantra meditation you meditate on sacred sounds, often meditating on one of the 108 primordial sounds. This type of meditation has become popular recently because so many people are doing Transcendental Meditation now. But just what are mantras and how do you do them? That’s where this guide comes in. 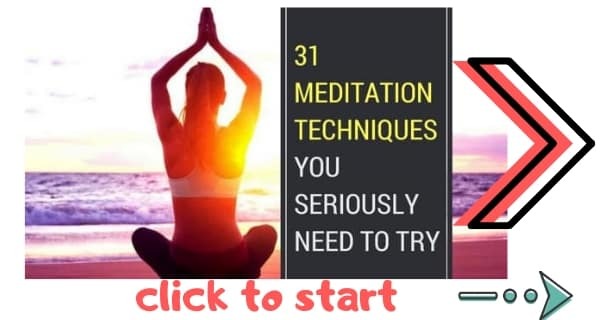 In this guide to mantra meditation I (Paul Harrison, meditation teacher), am going to teach you everything you need to know to start doing mantra meditation. Plus, you will probably want to read my list of the best mantra books to learn more. How to do mantra meditation. With this guide I’m aiming to produce the absolute number one online resource for mantra meditation. But there are no articles that actually bring all of this together. This is the gap I’m aiming to fill with this article. What Are mantras? And What Is Mantra Meditation? Mantras are sacred sounds with spiritual properties. And mantras to help you get to sleep at night. A mantra is a sacred word or sound usually in Sanskrit that is believed to produce spiritual, psychological, or physical benefits to the person who utters it. In this way, they are comparable to spells, incantations and prayer formulas, though there are important differences. Mantras are more than 3000 years old. Over the years they have been used in Hinduism, Buddhism, Jainism, Sikhism, and today they are also used in self improvement where they are commonly called affirmations. You can find concepts similar to mantras in Japanese Shingon, Christianity, Zoroastrianism, tantra and Taoism. To put it simply, mantras are commonplace the world over. But what is a definition of “mantra”? The exact meaning and definition of a mantra varies depending on the specific culture or spirituality that the mantra comes from. For instance, tantra mantras are considered sacred, where some mantra meditations just use relaxing sounds. Not only are there mantras in different spiritualities, but there are different types of mantra too. There are musical mantras that are chanted and that use very precise musical measurements. Kundalini mantra meditation, for instance, often involves specific musical notes. And there are very basic one syllable mantras like Om (“Aum”) which is the Buddhist primordial sound. There are 108 primordial sounds that we can use for mantra meditation. Sound is without doubt one of the most important parts of mantras. We’ll discuss that further in the section “How do mantras work?”, which you can read about below. However, if we’re going to write a definition of mantras, we need to include more than just sound. Some masters state that meditation mantras are actually thoughts that have magical or spiritual powers. For instance, in An Outline Of The Religious Literature In India, J. Farguhur states that mantras are religious thoughts or prayers that have supernatural powers. And in Heinrich Robert Zimmer’s Myths and Symbols in Indian Art and Civilization, mantras are defined as verbal instruments that produce certain qualities or traits in an individual’s mind. There have been many different definitions of mantras through the years. So what is the best definition of a mantra? To get to the best definition of a mantra you have to combine all the different definitions into one. When you do that, you get a general definition of mantras as, “words or sounds that produce qualities in the mind that lead to specific benefits”. As I stated, my objective here is to give the absolute best overview of mantras in world culture. So, to be respectful to all different cultures, let me say this. It is important to realise that the exact meaning of a mantra will vary depending on the religious or spiritual context. I’ve used a general definition above that I hope is mutually agreeable between different people. One of the most hotly debated questions about mantras is this: do mantras meaning anything, or are the words meaningless? When we do mantra meditation are we saying anything specific? Some masters will tell you that the precise sounds in mantras do not mean anything and that a mantra’s function is musical in nature, that the power of a mantra comes from resonance, rhythm and metres. Other masters say that meditation mantras are very specific mental instruments with precise meanings. What is universally agreed, however, is that mantras have meter, rhythm and melody that is essential to their purpose. In other words, you cannot just repeat a mantra over and over, you have to use them musically. Another view says that mantras mean absolutely nothing, and that the sounds are similar to the utterances in folk music where singers make sounds that evoke certain feelings but which ultimately do not have any linguistic definition. Rather, what is important is the sound quality. This is the explanation offered by Frits Staal in Rituals And Mantras: Rules Without Meaning. When you use a mantra, as well as pronouncing the words correctly you must also use the correct musical qualities. Why must you use the right musical qualities? Because he meaning of mantras is usually not as important as the sound and feeling that they evoke. And the reason for that is all about science. Let’s look at how mantras work as this will explain a lot. How do mantras work? And is there scientific proof? Science is gradually catching up with spirituality and while some aspects of spirituality are being thoroughly examined, others are currently on the sideline. There has been a lot of scientific research into the benefits of meditation. And that research has proven that meditation is indeed very beneficial. But conversely there has been very little research into mudras (hand gestures). So where do mantras stand? As I discussed in the section “Definitions of Mantras” (above), there are lots of different definitions and theories about precisely what a mantra is. So perhaps unsurprisingly, there are also lots of different understandings about how mantras work. Most masters agree that the most important part of mantras is the specific sound that they produce. The vibrations from mantras have the power to rearrange your molecular structure. Each sound has a distinct vibration, and as a result, each mantra has a different effect. All sound affects your molecular structure. Sound has been very important to the evolutions of humans, and not just because it allowed us to hear those T-Rex’s approaching so we could run away from them. Mantras are all about sound. The auditory faculty of human beings has evolved to include certain constants that create the foundations of our auditory composition (source: Gabriel Axel, U.S. News). Those tiny little bits of sound (syllables, grunts etc.) have been with us for millions of years. And they have helped us to make sense of the world. Just like birds sing to tell each other about the weather, we have used utterances to communicate with one another and to become informed about the world around us. A ball hits the wall of your house, soundwaves pass around the environment bouncing off of objects until we interpret them. And it’s out of these echoes that our speech was born. In his book Harnessed: How Language and Music Mimicked Nature and Transformed Ape to Man, neuroscientist Mark Changizi posits that the major phenomes of speech have evolved to resemble the sounds of nature. You can hear this when you speak. Think about certain words, like “crash”, “honk, and “giggle” and you can hear the sound of the event itself in the word. In other words, they are onomatopoetic. Some languages are more onomatopoetic than others. Sanskrit, which happens to be the language that most mantras come from, is a very onomatopoetic language. Most classic mantras come from Sanskrit, so they too are very onomatopoetic. Therefore, when we use mantras we actually hear echoes of nature. There is a science to mantras. These primordial sounds create echoes of nature in the body. A fascinating fact about sounds is that the sounds themselves reverberate in the mind and body. So when you speak you are actually creating physical events in the body and mind. So, if mantras are based on the sounds of nature, and when we create vocal sounds we produce physical events in the body, then logically when we recite a mantra we create a physical event that is an echo of nature in the mind and body. The third aspect of mantras is that we meditate on them. This puts our consciousness inside the mantra, or to put it another way, it puts consciousness inside the echo of nature. Put all that together, and you realise that when you recite a mantra you create a physical echo of nature in the body and mind. You then place your consciousness inside that echo of nature by meditating. Your entire being is now being affected by the mantra. And that is where the power of mantras comes from. Let’s look at the classic example Om (prounounced “Aum). This entire sound is a sonorant. It does not feature plosives or fricative. It is an entirely “open” sound. Make the sound now and you will see what I mean. This is the Japanese kanji for Om, which is one of the most commonly chanted Buddhist mantras. Because Om is entirely sonorant, it is entirely “open”. Now, let’s return to our discussion above. Vocal sounds resemble nature. “Crash” resembles a crash. “Honk” resembles a honk. What does “Om” resemble? Formlessness. There are no sonorants and no friactives, so the sound is empty. When we recite “Om” we create an echo of formlessness in the body. We then place our consciousness inside it by meditating. And the result is to retun us to a point of formless existence. You may have notice that suddenly the definition of mantras as something that is spoken seems wholly inadequate. It is much more accurate to say that a mantra is something we become, and that the vocal aspect is simply the gateway to becoming. We’ve answered another question here too. That being, Why are mantras in Sanskrit? The answer is that the Sanskrit language is essentially more primitive, and because it is more primitive it takes us back to that time when words were much more closer to nature. Today’s language is more about logic and thought than it is about resembling nature. Modern language has lost its proximity to nature. Where Sanskrit carries us back to nature modern language leaves us in the realms of logic and reasoning. And that is why mantras are in Sanskrit. Affirmations do not work in the same way mantras work. Affirmations are usually based on modern language. For instance, one affirmation might be, “I feel loved”. And when we think about these words we do just that: think. These words and other modern phrases are based on precise meanings and thoughts. They are about definitions. “I feel loved” means what it says. The idea of affirmations is that when you repeat these words you feel what the words promise. “I feel loved” makes you feel loved. Do affirmations work? That is a subject for another article. What we definitely know is that affirmations do not work in the same way a traditional mantra works. With an affirmation you are creating a literal meaning and then focusing on that meaning. Mantras are about precise sounds that are echoes of the natural world. Of course, this doesn’t mean that an affirmation cannot echo nature, as mantras do. “I feel loved” obviously does include sounds and we know from neuroscience that those sounds will in some way represent nature. But in what way? The difference between mantras and affirmations is that affirmations are about meaning and mantras are about sound. As we looked at above (in the section “How do mantras work?”), the sound and feeling is very important to a mantra. For that reason, if an affirmation produces a sound that produces a positive physical and mental energy in your body, then you can call it a mantra. But you cannot call an affirmation a mantra if it is only about the literal meaning. Affirmation: a phrase that is about a literal meaning. Mantra: a sound that produces certain energy qualities in the body and mind. When we talk about literal meaning and sound quality we are really talking about kosha. There are four koshas (levels) of a mantra. Literal meaning: this is the primary level. At this level we understand the meaning of a mantra as though it were any other word. Feeling: This is a more subtle level at which we feel the mantra and its meaning. Inner awareness: This is the level at which we experience a mantra inwardly. Soundless sound: This is the deepest and most profound level of a mantra. This is the mantra existing on our deepest level. When you recite a mantra, your aim is to pass from the primary level to the deepest level, to take the mantra from its literal meaning and to journey with it to soundless sound, the deepest level. Swami Rama is one of the greatest adepts, teachers, writers, and humanitarians of the 20th century. He has written an indispensable guide to the koshas. I highly recommend reading it. The first mantras were composed in sanskirt by Hindus. These mantras originated during the Vedic period, when writers and gurus became fascinated by poetry, which they saw as divine and inspiring. This poetry formed the foundation of mantras. This passion for poetry and sound led to a 500 year period in which mantras were written and recorded. 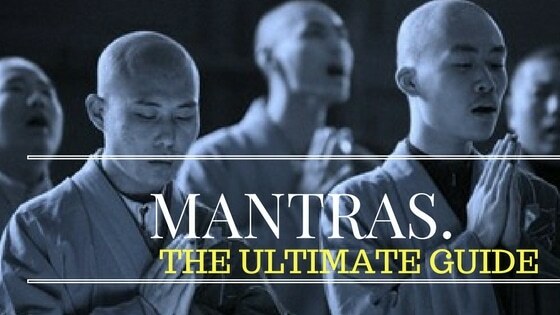 If you’ve ever wondered where mantras come from, it is from this 500 year period. The meditation mantras were diversified during the period of the Hindu Epics, when they were adopted by Hindu schools. Meditation mantras then evolved through the Tantric school. This school taught that each mantra represented a deity, which is how many still think of mantras today. In the Vedic tradition, mantras were not just recited. They were used together with ritual acts. For instance, when practicing Bagalamukhi mantra, which is a protection mantra, the ritual is to wear yellow clothes and a yellow rosary and to offer flowers to the deity Bagalamukhi. This is just one example of a ritual act used in a mantra. Meditation mantras evolved further through Buddhism and Jainism. Buddhism and Jainism stemmed off from Hinduism and the split caused major changes in the evolution of mantras. Hindus began to use mantras as a way to ask the gods to help them, for instance to save them from illness. And later Hindus used mantras to transcend past the perpetual cycle of life and death. This led to different types of mantras, including anirukta (not enunciated) upamsu (inaudible) and manasa (not spoken but recited in mind) as well as chants and spoken mantras. Tantra mantras then headed in a different direction. In the Tantric belief, the universe is comprised of sound and the supreme (para) creates the universe through the word, Shabda. The universe is comprised of different frequencies and levels of sound. In Tantra, mantras are essential and again there are different types, which are marked by their length and structure. For instance, mala mantras contain a very long chain of syllables, where bija mantras are only one single syllable that end with a nasal sound that is called anusvara. These sounds relate to different gods, with dum being Durga, gam being Ganesha and so on. These bijas are used in different combinations, which leads to the creation of longer mantras. In the tantric tradition it is believed that mantras give a person supernatural strengths. For instance, some mantras such as the Kleem mantra, produce heightened levels of attraction, while others offer protection from Evil Eye and other benefits. In many Hindu mantras it is necessary to repeat a mantra a certain number of times. This is called Mantra Japa, which refers to mantras that are repeated a specific number of times, often 108 and usually with the aid of a meditation mala / rosary. Gayatri Mantra: Used for invoking the universal Braham. “from the unreal lead me to the real, from the dark lead me to the light, from death lead me to immortality. Jainism has its own mantras for meditation, and these are an evolution of the mantras used in Hinduism. For instance, there are Jainist mantras for each day of the week. These mantras are said to produce unique frequencies that match with the frequency of the day on which it is recited. Jainists believe that these mantras liberate the soul and lead to inner peace and freedom, which is similar to Buddhist beliefs. You have probably heard or read Buddhist mantras before. One of the most famous Buddhist mantras is Om Mani Padme Hum. Because they are rarely mentioned in the sutras, the common belief is that Buddha Shakyamuni’s dharma system did not include mantras. But the system does include the Heart Sutra mantra “OM, Gate, gate, paragate, parasumgate, bodhi, Swaha”. And historians state that the Buddha taught protective dharanis or charms to hermits in the forest who lived in isolated places. And that is how Buddhist mantras began, as protections for the mind (as a fence protects land, a mantra protects the mind). In Buddhism, mantras are believed to be divine and it is important to have reverence for Buddhist mantras if they are to work. Because Buddhist mantras have to be believed in order to work, many modern scientists determine that they work as placebos, that their magic is the magic of the mind and that because the mind believes it is being healed it will indeed be healed. In Buddhism (and most similar faiths) mantras are comprised of one or more syllables. Most Buddhist mantras relate to one specific deity and are used as a way to express devotion to that deity. The essence of both the deity and of the mantra is contained in the seed syllable, also called the “bijas”. Sanskrit “A”, for instance, contains the essence of the Heart Sutra. The Buddhist mantra process usually works by emptying the mind, then visualising the seed syllable, then letting the visualisation grow into the form of the deity related to that seed. The most famous bija or seed syllable is Om, pronounced “Aum”, which we have looked at above. Om is the universe and all that is, was and will be. And then there is the silence that followed the mantra, which is used to represent emptiness. om am bung is a Buddhist mantra for mental health. One of the most important mantra techniques in Buddhism is a technique in which we recite Om, AH, and HUNG while visualising those syllables at the head, throat and heart. At the same time we visualise receiving a guru’s Body, Speech and Mind (this is related to Guru Yoga). In this technique the three syllables are different colours. Om Mani Padme Hum is a mantra that is used to invoke the blessings of Cenrezig, the embodiment of compassion. You can read much more about the meaning of this Buddhist mantra via the link above. Guatama Sidhartha is also called the Shakyamuni Buddha, who is the sage of the Shakyan clan and the first person to achieve enlightenment. This is the mantra of the celestial Buddha, Amitabha. It is said that this mantra will protect you from dangers and help you to overcome obstacles. It also boosts loving kindness and compassion. White Tara is associated with longevity. This mantra is usually chanted with a specific person in mind. The Green Tara mantra is used to overcome emotional, mental, and physical blockages. It is also a mantra for good relationships. The Medicine Buddha mantra is recited for success. It can also help to stop unhappiness and suffering. This is a wisdom mantra that improves memory, writing, debating and similar tasks. This mantra is used to stop hatred. As you can see from the meanings of Buddhist mantras, in the Buddhist tradition mantras are used mostly to develop positive mental traits and to connect with Buddha. Some of the meanings of Buddhist mantras are similar to the meanings of Hindu mantras (for instance, both faiths have mantras about love, compassion, oneness, and connecting to the divine). Where Buddhist and Hindu mantras differ is that there are far more Hindu mantras, and Hindus also use mantras for many more reasons than Buddhists do. In Hinduism you will find mantras effective to almost all personal and health problems, where Buddhists have less mantras and they are used for only a select number of reasons. The Buddha Center has in-depth descriptions and audio recording of many of these mantras you might like to listen to. And there are also mantra in Kundalini Yoga. As we’ve seen above, different spiritualities use mantras in different ways. The instructions below are for general mantra meditation technique, but these may vary depending on the specific mantra and whether it is Buddhist, Hindu, Jainist, Yogic or other. Find the mantra you would like to recite and make sure you understand it full. You should know what it is used for, which deity it represents, and if there is a certain rhythm or musical meter that you should use. Naturally, you should also make sure that you know how to pronounce the mantra accurately. For some mantras, and particularly Hindu mantras, there might be a specific ritual to perform before or during the mantra. Make sure to check this. Meditate for a short while in order to clear your mind ready for the mantra. Begin to recite the mantra with the right musical tone and rhythm. For some mantras, and especially Buddhist mantras, you will also use visualisation techniques. Continue for a full round of mantra repetition. For many mantras this is 108 repetitions. This is the end of the basic mantra practice. However, the specific mantra you are using may have additional instructions. Sit still for five to ten minutes to relax. Express thanks for the mantra and the deity, if there is one. You can take this further by doing Bhakti with your mantra. Now that we have looked at a list of Hindu mantras and a list of Buddhist mantras, and we have also discussed how to use mantras, why not give it a try? Choose one of the mantras we have looked at above, follow the instructions in “How to use a mantra” and see how it all works. Leave a comment and remember to subscribe to our newsletter to let me know how you get on. In this article we have looked at the science of mantras, their historical and cultural background, and how to do mantra meditation. And we have discussed the differences between Hindu, Buddhist and Jainist mantras. As you can see, mantras are a very deep subject spanning thousands of years and multiple faiths. And there are many ways in which you can use mantras for meditation. You can use mantras to heal your health, to get in touch with deities, to increase your compassion… there are thousands of mantras for all different uses. You can find mantras for different purposes via the links below. I truly hope you have enjoyed this look at mantra meditation techniques. My passion is to share spirituality with a million readers. If that is a passion that resonates with you, I would love to hear about it. And I’d love for us to be in contact. Leave a comment and remember to subscribe to our newsletter below. Share this article with friends and family. Join us on social media. And subscribe to our newsletter. Next, why not read my ultimate guide to mudra hand gestures? Rituals And Mantras: Rules Without Meaning, Frits Staal. Other sources have been stated, with links, in the article. Truly a Wonderful Article I must say. I’ve been searching for a Mantra to practice with ease & make it a regular practice. Hi, I am lucky to have come across this article, as I was looking for something on mental and emotional healing. I must say, I needed a dose of what you said in your composition. I am additionally trying Yoga and meditation to heal myself, especially on the mental and emotional fronts after a friend’s recommendation. I must say, this is a must read and try. Hope it helps your readers as well. This is a very interesting and informative article. I’ve been searching for my Mantra and have found one that connects me to God and family on the other side but I’m still looking for others. Thank you! Just to extend the thread: We are conversant to the fact that every single thing in the universe is made up of matter. And matter comprises electrons in random motion thereby yielding a current aka energy – vibration and frequency. So mantras, sounds being matter corresponds to energy in a specific frequency band hence corresponds on the etheric scale to whatever is our intention – healing, manifestation. In short mantras are energy in motion. My dearest Paul: I am a sixty year old woman now, that lives in the mountains of far northern California. Years ago I attended a healing Buddhist ceremony, that I enjoyed attending. The man’s name was Geshe Kunchok Tenzin, Green Vajravidaren (?) incarnation. Sorry if I’m not getting all of this exactly right! Anyway, it was awesome, and he spent time with me and gave me a mantra that I still remember today. Nama Tsenda Benza Trodhaya Hulu Hulu Titah Tithah Benda Benda Hana Hana Amrita Hung Phey …. Is it possible for you to help me?